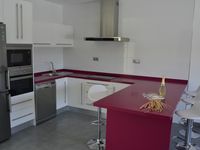 Property 3: APARTMENT FOR RENT "ALMAGRE"
Property 13: Design apartment just 100 meters from the Plaza Mayor. Property 14: Almagro Luxury Loft! Great location for walking everywhere in town. The town was friendly and had lots of history. Beds were very comfortable.